Rethink Homelessness asked homeless friends to write down a fact about themselves that other people wouldn't know just by walking past them. 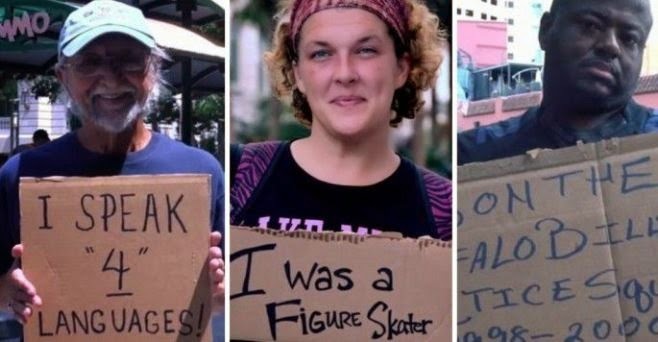 They should do something like this everywhere... people need to see homeless people for what they are; people. If you found this video to be eye-opening or otherwise helpful, please consider sharing it with others.